What simple vitamin is not only a powerful antioxidant and immune booster, but a great natural remedy for high blood pressure? Don’t ignore this easy hypertension treatment. Research shows that vitamin C may help contribute to lower blood pressures. 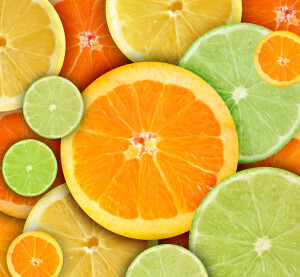 While you may think of vitamin C mostly as a supplement for boosting your immune system, it is essential for much more. A recent study out of John’s Hopkins School of Medicine suggests that vitamin C also works as an effective natural remedy for high blood pressure. Affecting 30 percent of Americans and costing our healthcare system $24 billion a year, high blood pressure is especially harmful to women, increasing their risk of heart disease by a whopping 400 percent. In the study, published in the American Journal of Clinical Nutrition, researchers reviewed all studies examining vitamin C intake and blood pressure. In doing so, they identified 29 studies done between 1982 and 2010 with a total of 1,407 patients between the ages of 22 and 74. 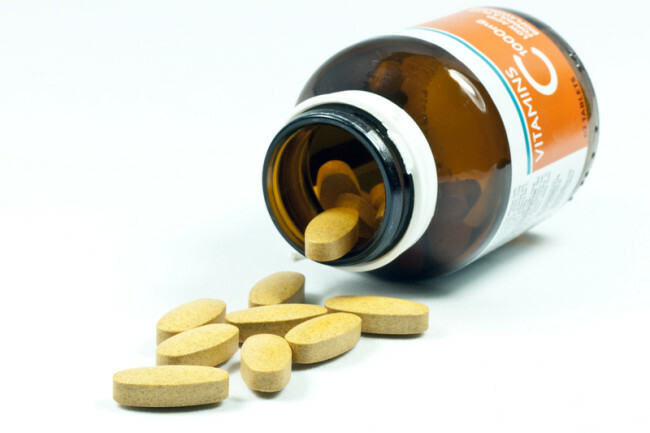 Each study ranged from 10 to 120 patients supplementing an average of 500 mg vitamin C per day for eight weeks. Roughly five times the recommended daily intake, 500 mg is the amount of vitamin C in about six cups of orange juice. Researchers found that an average of 500 mg vitamin C per day for eight weeks caused small but statistically and clinically significant reductions in blood pressure. This natural remedy for high blood pressure helped to decrease systolic BP (the top number) by 3.84 mm Hg and the diastolic BP (the bottom number) by 2.38 mm Hg on average. When the researchers limited the data to people with high blood pressure, the average reductions were 4.85 systolic and 1.67 diastolic. In other words, if you have hypertension, taking vitamin C as a natural remedy for high blood pressure will lead to greater reductions than if you don’t. 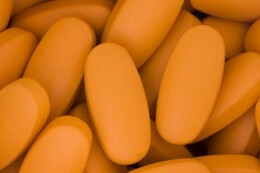 By comparison, patients who take blood pressure medication such as ACE inhibitors or diuretics can expect a roughly 10 millimeter of mercury reduction in blood pressure, according to Edgar “Pete” Miller, M.D., Ph.D., an associate professor at Johns Hopkins University School of Medicine and leader of the study. 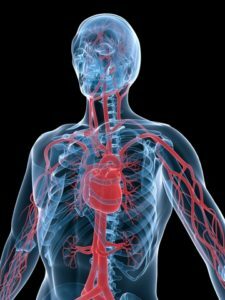 Dr. Miller called the level of blood pressure reduction “moderate” and stated that ”…if the entire U.S. population lowered blood pressure by 3 milliliters of mercury, there would be a lot fewer strokes.” He and the other researchers also commented on how they think this natural remedy for high blood pressure works. They pointed to research showing that vitamin C increases levels of nitric oxide to help dilate blood vessels and improve blood vessel function. Vitamin C’s most well-known role is that of an immune enhancer. It boosts white blood cell production, decreasing your susceptibility to infections and keeping cancer at bay. Vitamin C is also absolutely critical for energy because it is required to make carnitine, a compound that helps transport fat into cells’ mitochondria, where it is converted to energy. You need it to make collagen, a crucial structural component of blood vessels, tendons, ligaments, and bone. You also need vitamin C to make the neurotransmitter, norepinephrine, which critical to brain function and maintaining your mood. Vitamin C is involved in transforming cholesterol to bile acids, which helps lower blood cholesterol levels. Vitamin C is also a very powerful and effective antioxidant that can protect the body from damage by free radicals and reactive oxygen species that can be generated during normal metabolism as well as through exposure to toxins and pollutants. Is vitamin C a natural remedy for high blood pressure? It lowered blood pressure almost half as much as ACE inhibitors and diuretics, according to results from more than two dozen studies. While vitamin C may be a great natural remedy for high blood pressure, it is known that older adults often don’t get enough vitamin C from their diet and may have lower intestinal absorption than younger people. This is all the more reason older adults need to bump up the nutrition in their diets and consider supplements, too. Good dietary sources of vitamin C include citrus fruits, strawberries, red bell peppers, papayas, kiwi, broccoli, Brussels sprouts, cantaloupe, and kale. ace inhibitors, antioxidant, blood cholesterol, blood cholesterol levels, blood pressure, blood pressure medication, blood pressure reduction, bone, brain, cancer, carnitine, cholesterol, cholesterol levels, collagen, diet, for high blood pressure, free radicals, heart disease, high blood pressure, high blood pressure is, hypertension, immune system, kale, mercury, metabolism, mitochondria, mood, natural remedy, natural remedy for high blood pressure, neurotransmitter, nutrition, reactive oxygen species, remedy for high blood pressure, risk of heart disease, supplement, supplements, toxins, vitamin, vitamin c.
Xanthan gum normally used in the petroleum subject and industrial market and the one utilised in greater value sections is that there is no minimum amount requirements for microbiological counts.